Don Smith (California, United States) on 8 March 2019 in Landscape & Rural. 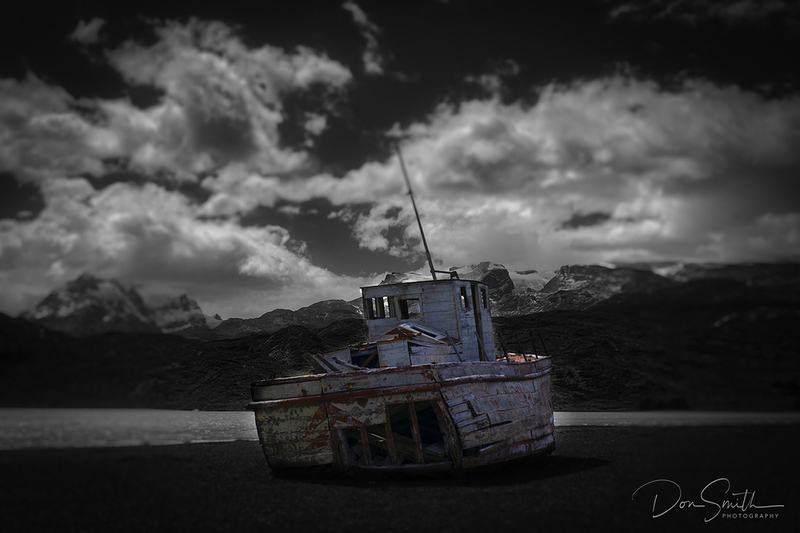 Inspired by an awesome talk by Ron Modra in Argentina on creativity... Estancia Christina and abandoned fishing boat. Processed in B&W using Luminar 3, color painted back using luminosity masks in PS along with Gaussian Blur Filter. That is an interesting old boat. It has a lot of character. I like the use of selective color! I know this place ! a beautiful mood with the selective color !